A new product is hitting the shelves at Walmart today and I got to test it before it was for sale. Guess what it is? 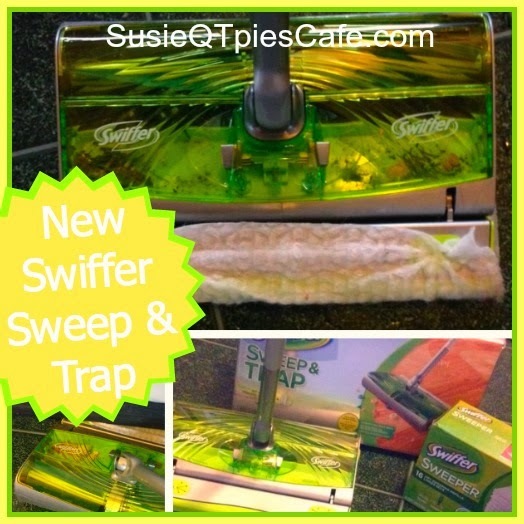 Over the past few weeks, I have been reviewing the brand new Swiffer Sweep & Trap here at SusieQTpies Cafe. This was a fun and practical product review perfect for my kitchen. 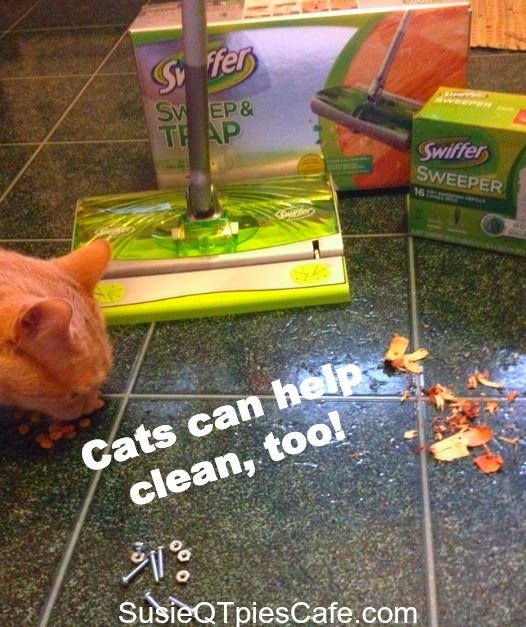 Thanks to SheSpeaks and Swiffer for sponsoring this post. My own opinions are expressed here. 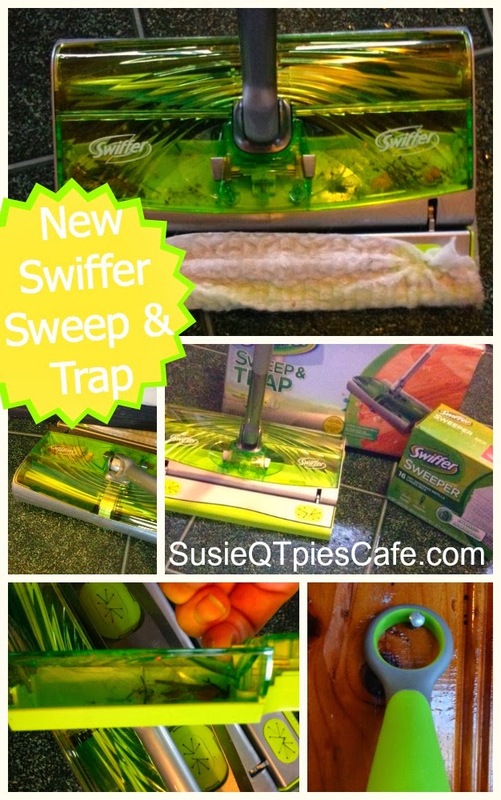 The Swiffer Sweep & Trap is practical and easy to use like all the other Swiffer products which I own. This one uses a dry pad to trap small particles, cat hair, dust, crumbs, and more. Besides the dry pad it has another function which is to trap and catch larger items like nuts and bolts, cat food, wood shavings, cereal and more! The product was tested to pick up nuts & bolts, cat food, large crumbs, cat hair, wood shavings, and dust. Guess what? It worked. Even the teens tried it and it worked for them, too! I don't know about you but I'm always looking for practical products for my kitchen. The Swiffer Sweep & Trap is just that. Pop on over to Walmart today and get yours, too! @SusieQTpies, @SheSpeaksUp and @Walmart as well as the hashtag #NewFromSwiffer to find out what others are saying about the new Swiffer Sweet & Tray. We love swiffer products, I am going to have to look for this one in the store! WOW! I Got To Have It Love Love Love It, Thanks For Sharing! Yup, I need this now lol. With little ones running around, theres always something to sweep up and Swiffer products rock. Thanks for sharing! I need this! With two kids and two cats my floors always need to be cleaned. I like how it actually picks up items. Thanks for the review. I have a similar product and it works really well for cleaning up dirt and other stuff on the floor. Only problems with the one I have is the battery won't take a charge anymore. I'll have to see what I can do about replacing the cells inside the battery or adapting another type of battery to the sweeper. Thanks for the info on the Swiffer.